Spider-Man Far From Home will hit theatres on July 5, 2019. 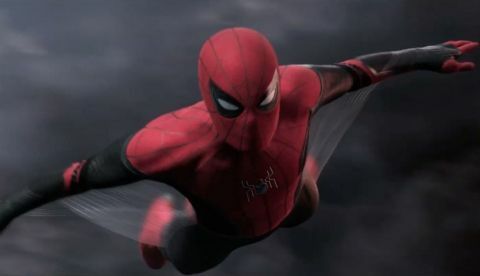 The trailer for Spider-Man: Far From Home was long overdue seeing that the movie is releasing on July 2019. Of course seeing that Spider-Man disintegrated at the end of Avengers: Infinity War, it is chronologically wrong to see him in action before Avengers: End Game. However, with the magic of superheroes, Spider-Man is back in action. The trailer for Far From Home is finally out and it is set after the events of End Game, so we think the trailer has been carefully crafted to avoid spoilers of the upcoming Avengers movie. At the end of Spider-Man: Homecoming, we caw Aunt May walk in on Peter Parker in his Spider-Man outfit. At the beginning of the Far From Home trailer we see Spider-Man and May at a charity event which hints that Aunt May is okay with Peter donning the role of the web slinger. The trailer also shows Happy Hogan AKA Jon Favreau handing Aunt May a cheque signed by Pepper Pots. Hmmmm, does this mean Iron Man is finally out of the MCU? Rumours are circulating the internet suggesting that RDJ’s contract ends with End Game and he won’t reprise the role of Iron Man. However, we will know the future of Iron Man when Avengers: End Game releases. Also, the trailer goes on to show Peter Parker taking a trip to Europe where he is recruited by none other than Nick Fury for a mission. This is where we get our first glimpse of the Elementals. The Elementals comprise of the following four - Hydron who is lord of the waters, Mangum who is master of the Earth, Hellfire the wielder of flame and Zephyr who is mistress of the winds. Here's the first trailer for Rogue One: A Star Wars Story! We also get a look at the Prince of Persia himself, Jake Gyllenhaal donning the role of the villain Mysterio. Mysterio, in the comics, has been known to be notorious for faking dramatic incidents, so he can steal for his own gain. In the trailer however, he looks to be taking on the Elementals in a fight. Whether this is one of his tricks or whether Marvel has changed the origin story of the arch villain is something we will know when we see the movie. Moving on to the web crawlers outfit, Spider-Man leaves his traditional red and blue suit back home and we believe Nick Fury gives him the new red and black suit. Red and black isn't a new colour for the web slinger and pays homage to the original Spider-Man suit which was more black than blue. We also get a glimpse of the all black stealth suit which is a lot like the Spider-Man Noir outfit. Throughout his comic history, Spider-Man has donned a number of different suits and has seen a variety of origin stories. It is nice to see the movies pay homage to some of the suits we have come to love from the good old comic book days. Before Spider-Man: Far From Home hits theatres, we have two Marvel movies to look forward to - Captain Marvel which hits theatres on March 8, 2019 and Avengers: End Game which hits theatres on April 26, 2019.